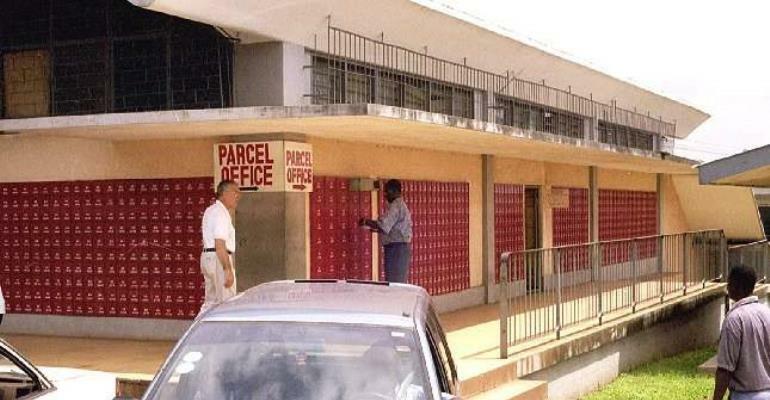 Accra, Dec 30, GNA- The Ghana Post Company Limited (GP) is expanding its facilities to include Information Communication Technology (ICT) services to enhance its productivity and ensure that the company becomes the best in postal delivery in Africa by 2006. At the company's maiden Annual General Meeting (AGM) on Thursday, where a dividend of 300 million cedis was declared to government for the year 2003, Prof. Robert Addo Fening, Chairman of the Board of Directors, said prudent measures were being put in place to ensure maximum profit in the near future. He attributed the reduction in dividend, compared to 450 million cedis paid in 2002, to the company's reinvestment in the areas of Counter Automation Project, purchase of delivery vans and the construction of a new head office complex as well as the Airport City Post office. Prof. Addo Fening said the institution of the counter computerisation project and provision of Internet facilities by the GP would largely facilitate efficiency of postal delivery globally. The meeting was also to receive the audited report and financial statement of the Company for 2003 and also request for a fixed remuneration for their auditors. Prof. Addo Fening stated that GP's application was yet to be approved by the Central Bank for the reinstitution of the postal savings system, adding, "this will go a long way to support the rural banking system in the country." He identified some of the challenges facing the company as the global recession that affected the inflow of capital, higher fuel prices in the first half of 2003 as well as inflation. He said increase in inflation adversely affected the cost of operations and eroded the Company's profit for the year. "Since the postal business depends primarily on transport, it was a difficult time for the company in terms of its operations," he said. He stated that even though the second half of the year saw recovery of major world economies, domestic and foreign mail traffic reduced by 0.4 per cent and 5.1 per cent respectively worldwide, as compared to 2002. "Though the global recovery in the second half of the year resulted in rising market prices for Ghana's main export products like cocoa, and a high GDP growth rate of 5.2 per cent, the postal and courier industry did not increase its growth rate." Prof. Addo Fening said in spite of the challenges, the company benefited from the drop in both the Treasury Bill rate from 35.3 per cent in June 2003 to 18.7 per cent and the lending rate of 5.7 per cent as compared to the 38.5 per cent in 2002. The fall in the interest rates, he said, reduced the cost of borrowing to the company with specific reference to the phone cards business for which credit was obtained from the local banks. The Chairman stated that despite these challenges, the Company was able to meet all its tax obligations. Mr Kofi Dua-Adonteng, Managing Director, GP, said the Company had had a consultative meeting with the Pan African Postal Union to iron out some of the inter-boarder bottlenecks faced by the postal and courier services to ensure effective postal delivery. Mr Enoch Hemans Cobbina, Head of Non-Tax Revenue Unit, Ministry of Finance, said he was not pleased with the dividend declared by the company, as it fell far below the government's policy on dividend declaration by State-Owned Enterprises. He stated that government instituted the dividend policy to serve as a guide to State-Owned Companies after realising that dividend paid to government was always very small. "The policy demands a 30 per cent dividend payable within 30 to 90 days after declaration and also an interim dividend for the following year."